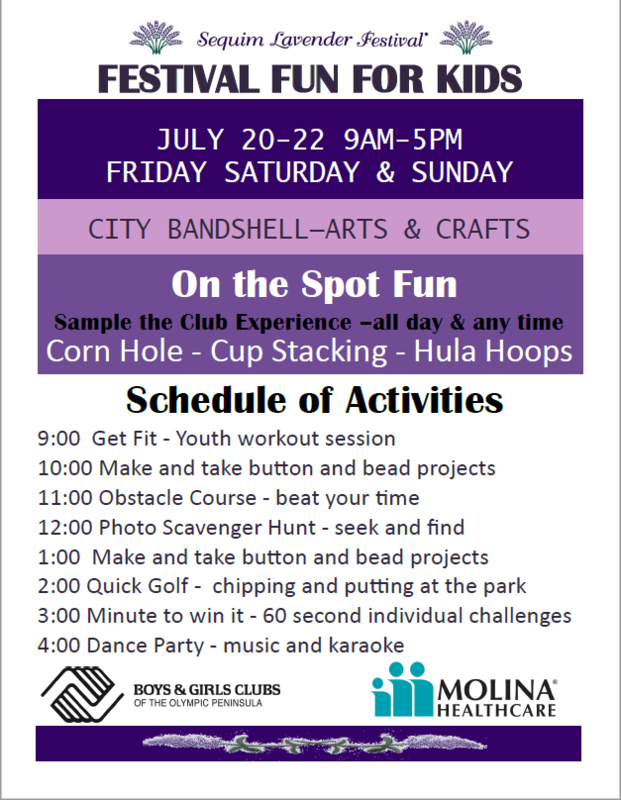 2018 Festival Fun for Kids! Check out all the fun activities we have going on all 3 days for our young guests in the KID ZONE! In addition to all the scheduled events below, we have a number of surprise visitors stopping by including the Happy Tymer Clowns, the Irrigation Festival Royalty and the Clallam County Fire Chiefs.